As a social drinker who occasionally gets treated to some fine libations, the recent whisky pairing dinner at Imperial China Restaurant was a learning experience. As usual, any Tai Thong Group event not short on red carpet treatment, evoking the decadence of old Shanghai and the drinking trad of the great Scots. It was my maiden encounter with FiftySix Degrees Scotch whisky. Named after the latitude of the Scottish Highlands where the tipple is distilled and blended, FiftySix Degrees is crafted by Ian Macleod Distillers, the world’s 10 largest Scotch whisky company. Aged in handpicked bourbon and sherry oak casks, the youthful spirit is apparently conceived to appeal to the Asian market and is amiable enough for modern aperitifs like those we sipped on prior to dinner. The resident Tai Thong culinary team pulled out the stops to show a wide variety of fine Chinese dishes go superbly well with the whisky’s soft citrusy top notes and rich malty heart. Starting with a show-stopping trio like Lobster with Fresh Fruit Salad in Italian Vanilla Dressing, Sliced Chicken with Foie Gras & Almond, and Crab with Roasted Sesame Sauce wrapped in Egg Roll with toppings of Shredded Coconut & Fish Roe helped tremendously of course. Once the camera fest was over, we dug in with gusto. The rich dressing was heavy going but luckily, sips of the faintly oaky drink held the cloying richness in check whilst amplifying the nuttiness of the egg roll’s sesame sauce. I like the whisky’s mellow fruitiness which came through as we slurped up the rustic sweetness of the Double Boiled Village Chicken Soup with Apricot Kernels and Snow Pear. Roast meats are great with FiftySix Degrees and this was proven when sampled with crispy slices of Spice Roast Suckling Pig. Nobody can get enough of how smooth the drink is; its supple finish tempering the porcine’s voluptuous flavour. A shotglass of Chilled Ambarella Juice Shooter returned our palate to clean slate. 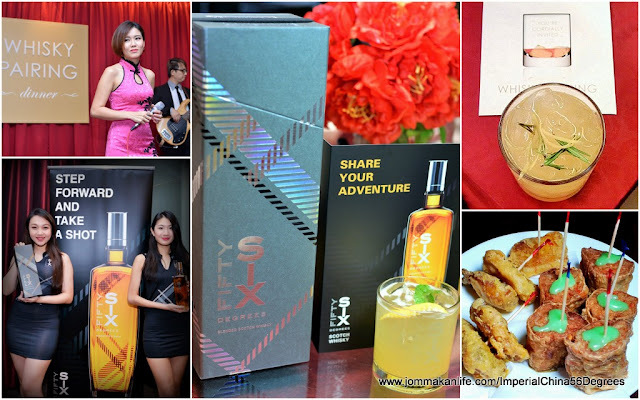 The blended whisky also went swimmingly with luxe treats and ample proof came in the serving of Braised Abalone, Sea Cucumber Stuffed with Tuna and Wantan. You won’t forget the cohesive merging of deep-sea and highland nuances or the multi-textural plethora in a hurry. Like a fish caught in mid-frolic, the Yin Yang Estuary Tiger Grouper Grilled with Caramelized Onion & Sauteed with XO Sauce, Celery and Apple blew us away with its picture-worthy presentation, multiple textures and distinctive taste. Interestingly, FiftySix Degrees even complemented dessert well. Try it on the rocks amidst bites of Chilled Black Sesame, Mango and Fresh Milk Layered Dessert or neat with Mini Pumpkin Dumpling with Sweet Potato & Cheese, and Sweet Corn Bun sprinkled with Cocoa Powder. For a similar whisky pairing experience, contact IMPERIAL CHINA RESTAURANT, tel: 03-7956 6868. Address: 7th Floor, Intan Square, No. 3, Lorong Utara C, Petaling Jaya, Selangor. The nice thing about living in the Klang Valley is there are plenty of nooks and corners with hidey-hole kinda eateries. Jing Thai falls into this slightly off-the-beaten-track category; it is right under one’s nose but you’d be clueless until a foodie friend leads you there. Netizens who had visited rated Jing Thai favourably so my curiosity was piqued the minute we set foot there. The pork-free resto has been in business for eight years with new owner Brandon Yap determined to make it even better than before. Its semi open air concept encompasses rustic bamboo clad walls encircling an open courtyard. The area can fit about 40 tables with a few of them sited in an air-conditioned section. According to Brandon, spring water is fed into the tanks where his live fishes such as jade perch and tiger grouper are kept. As a restaurateur who’s adept at Thai, Asian and Western cooking, Brandon explains some of the dishes bear slightly fusion influences in them. One of his most experienced staff tends to the barbecue, grilling customers’ orders on request. We love the large BBQ Cockles (seasonal price) but the grilled Lamb Chops (seasonal price) is decent too. Word has it the sought-after grill-to-order salt crusted perch or tilapia requires advance order and a minimal wait of 45 minutes. Beware of the firecracker hot Tom Yam Seafood (small RM20, medium RM34) which looks deceptively harmless until you sample the clear seafood laden broth. Its explosive taste grabs you at the first mouth but for chilli fiends who enjoy breaking out in sweat, this soup should set your adrenalin going. Thai salads are rad thanks to an invigorating combination of sour, briny and zingy hot flavours. Unless you’re averse to eating bizarre parts, the slightly crunchy, QQ mouthfeel of Chicken Feet Salad (small RM16, medium RM22) is ideal for kick-starting the appetite. Similar tasty nuances appear in the switched up appetisers of Thai Style Abalone Salad (RM26) and slippery Cold Glass Noodles (small RM13, medium RM20) with chopped wood ear fungus, onion and cherry tomatoes on a bed of lettuce. 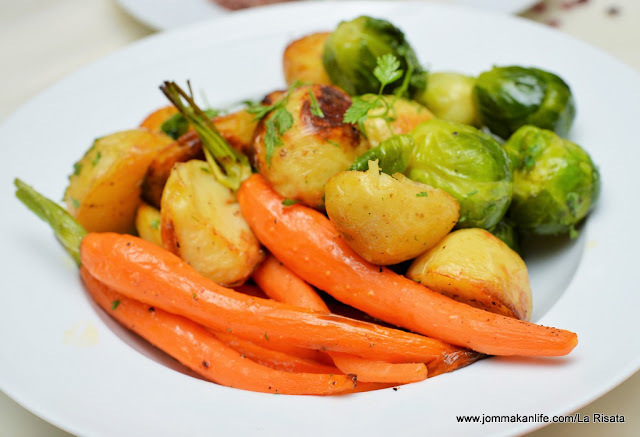 Both do a bang-up job of setting the tastebuds ablaze before the arrival of main dishes. Thai-Chinese influences are evident in the offerings of Thai Style Lime Steamed Squid (seasonal price) and Thai Style Lime Steamed Tilapia (seasonal price). Chopped garlic, chilli, lime juice, fish sauce and fresh coriander are central to these dishes; the saucy robustness amplifying the fish and squid’s inherent sweetness. If you like inventive dishes with an unexpected twist, the Thai Style Chicken (small RM18, medium RM28) with shredded torch ginger is commendable. Think of yong choong gai or deep-fried chicken topped with crispy onion rings and gooey tangy-sweet sauce only in this instance, the chunky chicken pieces are covered with fragrant torch ginger strips. Of the trio of curries we sampled, I’d recommend the Thai Style Curry Crab (seasonal price). You need to give the resto advance notice though as crab supply isn’t consistent. Well-spiced with an egg whisked into the gravy, the fresh crab chunks easily won us over with its natural sweet freshness amidst the assertive spices. Personally I wasn’t too hot about the Red Chicken Curry (small RM18, medium RM28). The melding of Myanmarese, Indonesian, Nyonya and Thai proves too many spicy influences will spoil the gravy although the creamy curry scented with lemongrass passes muster in the taste stakes. Likewise, Malay and Indian nuances are discernible in the house speciality of Special Thai Style Prawn Curry (small RM35, medium RM48). 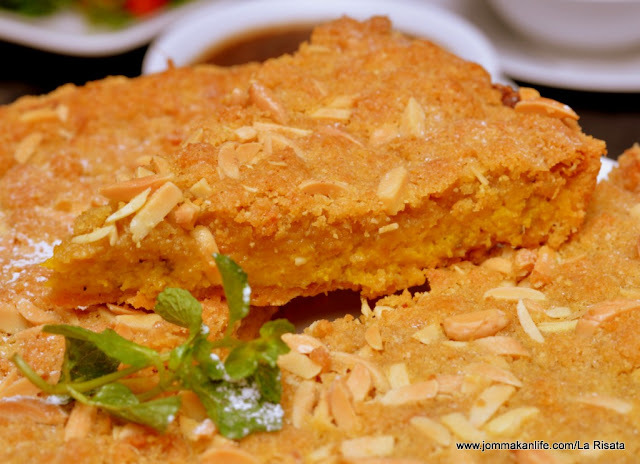 Rich and mildly hot, this is a dish created for local palates but holds little appeal for moi. Green relief comes in the form of Pucuk Paku with Sambal (small RM13, medium RM18), a nice plate of young fern tips stir-fried in pungent chilli and shrimp paste. As with any Thai meal, plain rice is a compelling canvas for savouring the main dishes served. We wrap up dinner with a simple Coconut Pudding with Sago. A Myanmarese-Thai creation, this Thai coconut agar-agar dessert drenched in palm syrup and sago pearls is light counterpoint to the rich curries earlier. Cooking up the yearly Christmas feast is no child’s play. For time-poor and busy urban families, even family matriarchs should enjoy a well-deserved break during the festive season instead of slaving away in the kitchen. Give them a chance to join in the family bonding and entrust the cooking to La Risata chefs. 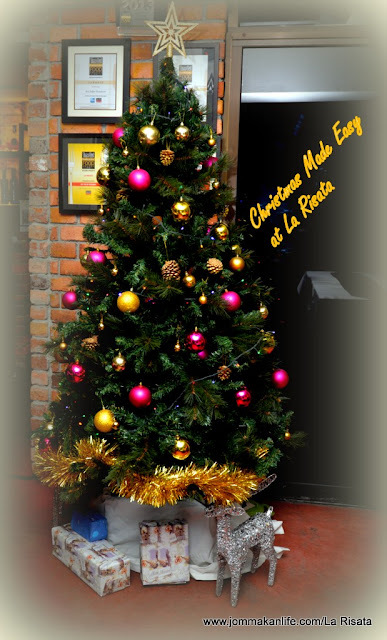 Designed to make life easier, La Risata’s festive selection allows you to ‘mix and match’ the resto’s offerings with home-made dishes of your own. 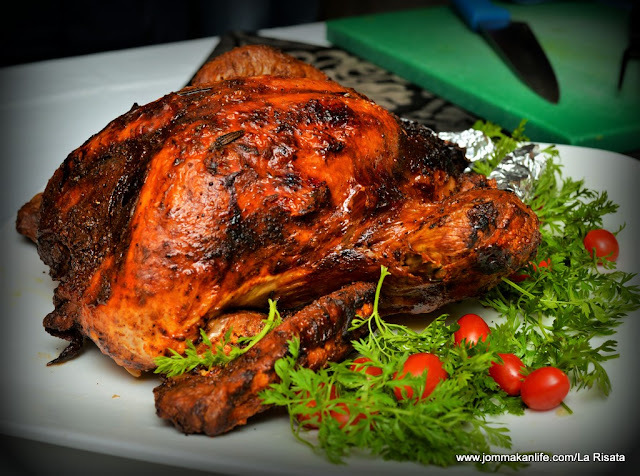 The traditional Roast Turkey (4 kg each @RM338++) makes for an impressive centrepiece for your festive table as the huge bird’s sizeable enough to serve 10-12 persons. The most outstanding component of this offering is cranberry sauce, made from real cranberries cooked down to a thick compote; its subtle tanginess tempering the rich giblet sauce. Sautéed mixed vegetable and chestnut stuffing complete the dish. 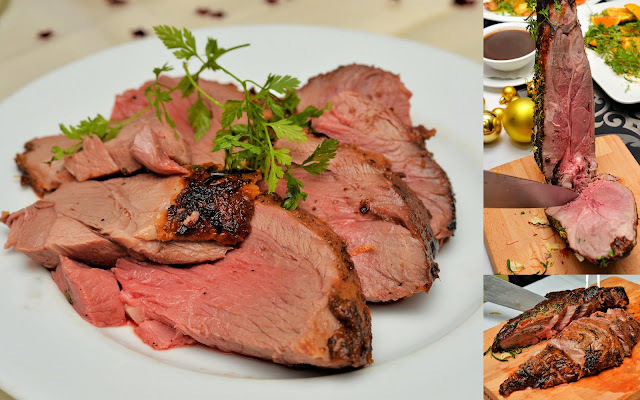 Personally, I prefer the Roast Leg of Lamb (3 kg each@RM228++) which the chef acquitted to sumptuous tenderness; the blush pink centre of each slice oozing with juicy goodness. Faint whiffs of rosemary made it all the more droolworthy, augmented by sides of sautéed chat potatoes, grilled root vegs and rosemary sauce. 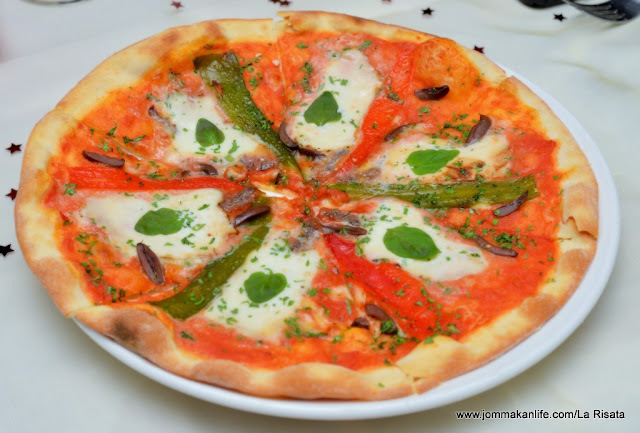 If you prefer to dine in at La Risata, the rustic Pizza Mozzarella is a ‘must try’. 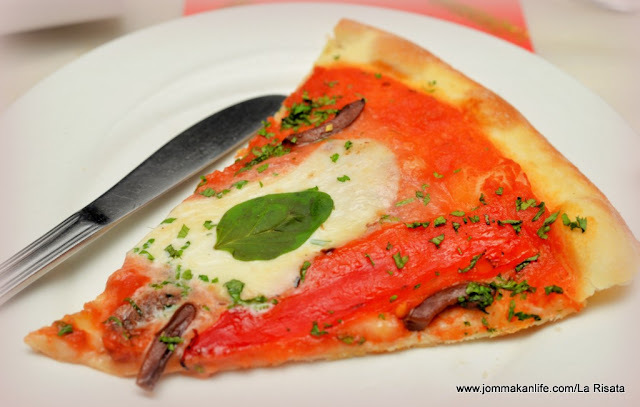 Thin yet sturdy enough to hold its shape, the crusty wood-fired pizza left us wanting more, thanks to its generous slather of tomato sauce and toppings of smoky mozzarella, strips of red and green marinated capsicums, anchovies and fresh basil. In Italy, you can’t get more traditional than a portion of gnocchi to start with. 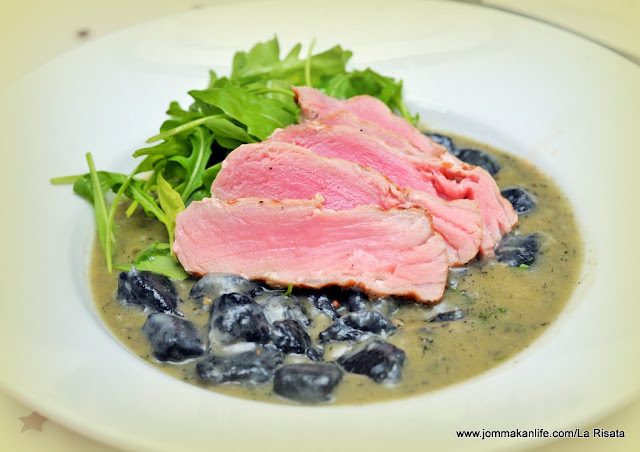 These thick, soft knobs of doughy dumplings are notoriously difficult to make but La Risata chefs dressed up the Grilled Blue Fin Tuna with Squid Ink Gnocchis with a bright flavourful Lemon Butter Sauce. Bolstered by the smooth citrusy sauce, the tuna’s voluptuous richness was captured in the dainty, pillow-soft dumplings while any residual cloyingness was halted by fresh peppery rocket. 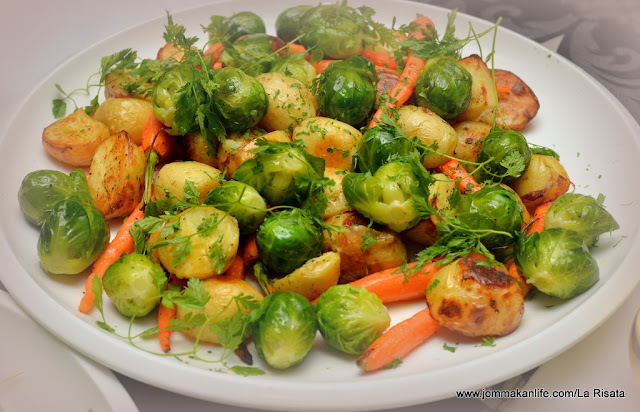 Stumped for ideas on what salad to serve for your Christmas do? Here’s a simple but ingenious suggestion tossed up by La Risata. 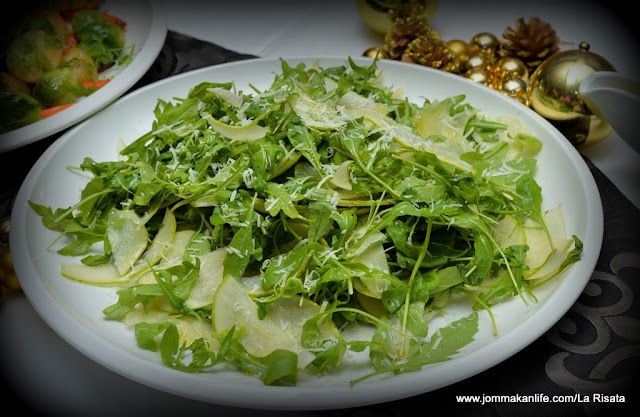 You’d hit the jackpot by rustling up Rocket & Pear Salad with Lemon Dressing and Shave Parmesan. Nobody can resist its vivacious spectrum of accents: sweet, tart, savoury and zingy in one go. 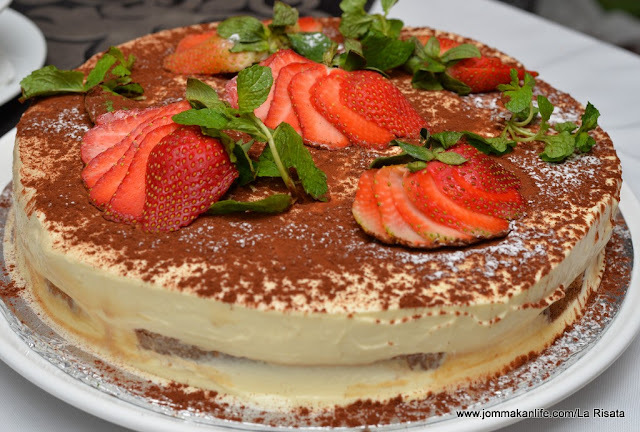 Sweeten the celebration with a takeaway Tiramisu (RM160++ per order, ample for 12 persons) or Pumpkin Pie (RM80++ each for 8-10 persons). Concocted with layers of espresso-soaked Savoiardi sponge fingers and mascarpone, it was a reliable albeit tame option among the dessert we sampled. 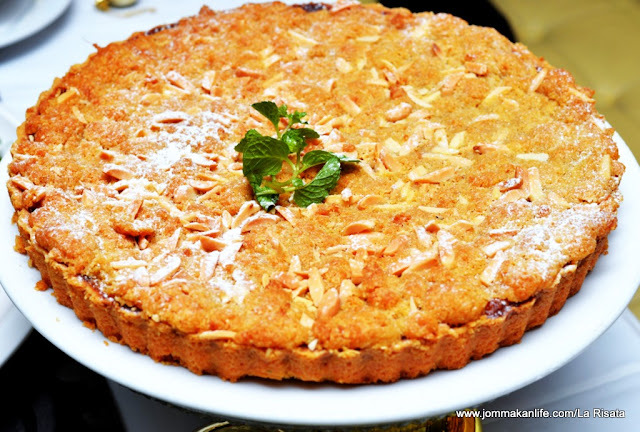 Served with silky maple cream sauce, the Pumpkin Pie stole the thunder with its delicately sweet crumbly crust; the top adorned with a sprinkling of almonds. The pie filling itself was airy-light and redolent with the warm scent of cinnamon, something which I’d always associate with Christmas. 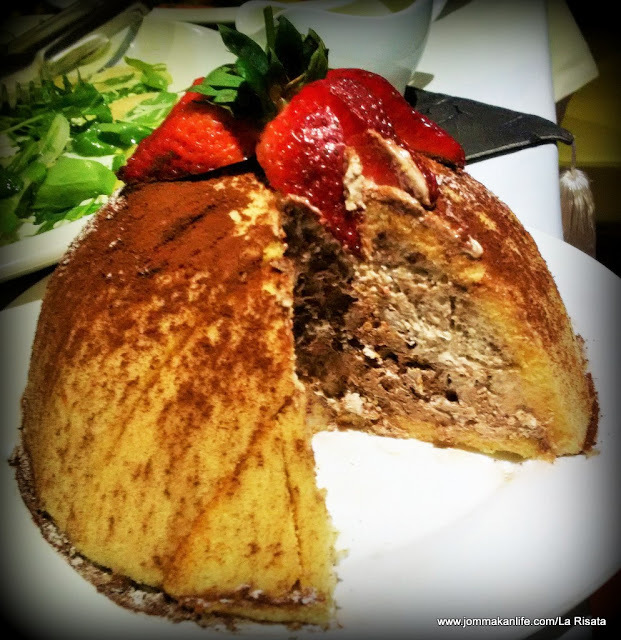 For dine-in, the perennial fave has to be Zucotto, a luscious domed cake with chocolate and vanilla cream studded with almond, chocolate and hazelnut nibs. 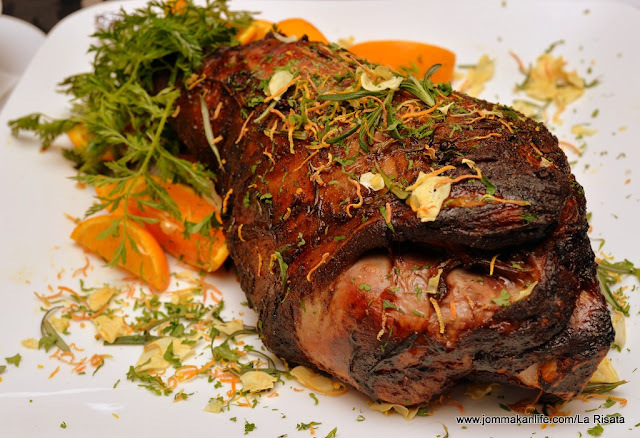 It looked wickedly decadent but turned out to be feather-light with just a touch of indulgence. 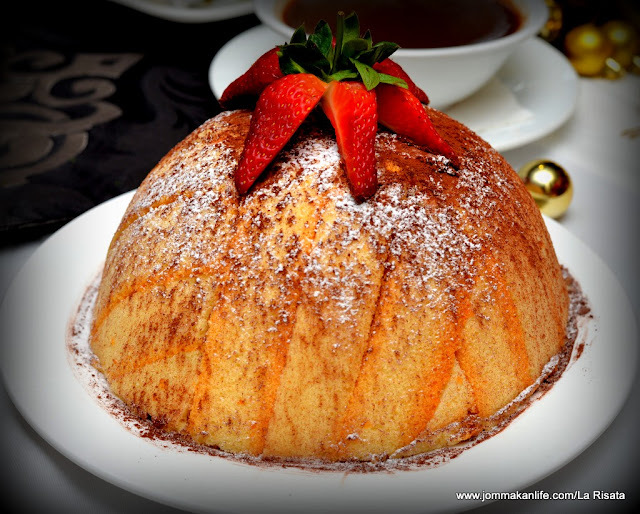 Orders are accepted from now until 5 January 2016 while stocks last so make haste and call La Risata now, tel: 03-2031 6568. 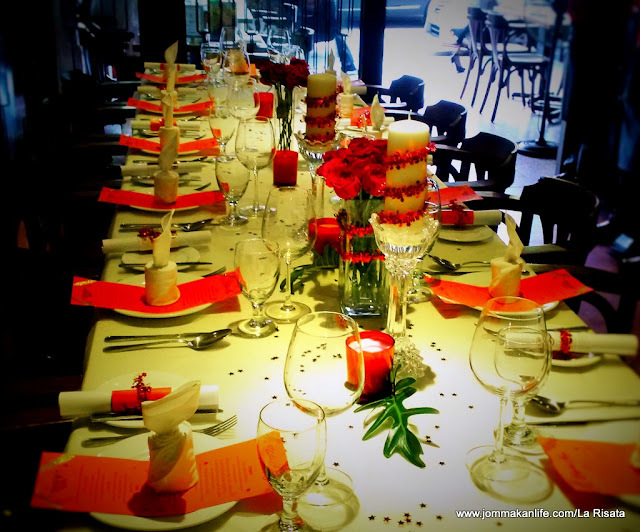 Reservations at the restaurant are advisable for the festive period.